INDIANA, PA – Fourteen facilities have united under the American Racer Cup presented by Sunoco banner for the 2019 season. Drivers competing across four states – New York, New Jersey, Pennsylvania and Delaware – in the Modified and Sportsman divisions will challenge for $51,000-plus in cash and hundreds of tire certificates as part of the ’19 American Racer Cup sponsored by American Racer Tires, Lias Tire Company, Sunoco Race Fuels and Insinger Performance. The ’19 lineup of facilities is a strong one comprised of familiar venues and new participating speedways for the 10th anniversary of the American Racer Cup. In New York State, neighboring Fonda Speedway and Glen Ridge Motorsports Park have joined the Cup. Known as the ‘Track of Champions’ for its legacy of hosting the sport’s best drivers since 1953, Fonda will be home to Saturday racing with the Modified and Crate 602 Sportsman divisions participating in the Cup. Modifieds return to Glen Ridge Motorsports Park, located less than five miles from Fonda, for 11 events allowing teams in the Mohawk Valley a pair of opportunities to participate in the American Racer Cup. The Crate 602 Sportsman join the Modifieds on the Racer Cup docket at the Ridge, with Sunday slated as the primary night of racing. Historic Five Mile Point Speedway is under the operation of the next generation – Tucker, Tanner and Tyler Harpell – for the ’19 season with the Modifieds and Crate 602 Sportsman taking part in the American Racer Cup. Empire State facilities returning to the Cup include: Accord Speedway (Modified & Crate 602 Sportsman), Afton Motorsports Park (Modified, Open Sportsman & Crate 602 Sportsman), Outlaw Speedway (Modified & Crate 602 Sportsman), Thunder Mountain Speedway (Modified, Open Sportsman & Crate 602 Sportsman) and Woodhull Raceway (Modified & Crate 602 Sportsman). Pennsylvania hosts three American Racer Cup venues, with Big Diamond Speedway (Modified & Open Sportsman), Grandview Speedway (Modified & Open Sportsman) and Penn Can Speedway (Modified & Crate Sportsman) participating. New Jersey facilities include Bridgeport Speedway (Modified & Crate 602 Sportsman) and New Egypt Speedway (Modified, Open Sportsman & Crate 602 Sportsman). 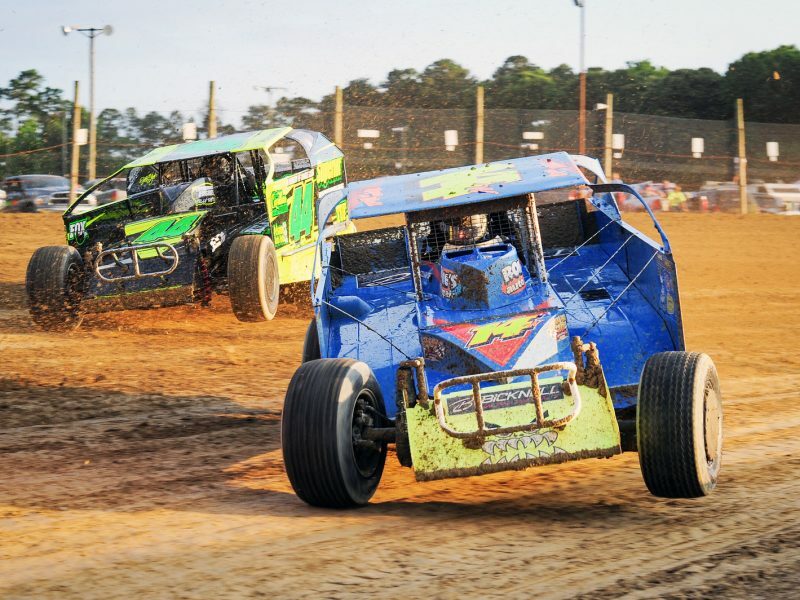 Delaware International Speedway, the only weekly operating track in the First State, will once again participate with the Modifieds & Crate 602 Sportsman. All 2019 information, registration forms and tire giveaway information is posted online at www.theamericanracercup.com. Once again, the American Racer Cup and Bob Hilbert Sportswear Short Track Super Series have paired up for hefty Sunoco Race Fuels Bonuses. Should a driver with the Short Track Super Series North and South Regions plus the American Racer Cup, that driver will earn a $25,000 cash bonus. Should one driver with the Short Track Super Series North or South Region plus the American Racer Cup, a $10,000 bonus will await that driver.